Campaigners who support a Central American country say their bank account is being closed "without good cause". The Wales Nicaragua Solidarity Campaign (WNSC) has accused the Co-operative Bank of removing organisations that do not "fit" with its brand. Secretary Ben Gregory said he felt the move was political. 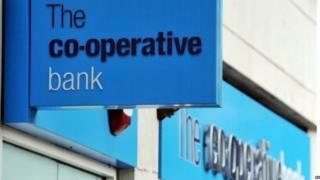 The Co-op Bank has insisted the decision was based on legal obligations to scrutinise groups working overseas. WNSC said the decision was made over the summer, but it appealed and the decision is being reviewed. The account is still active during this process. Mr Gregory said: "I think there are two reasons. Firstly, we are a community group and we do not make a profit for the Co-op. "Secondly, I think they're using 'money laundering' as an excuse to get rid of any account they do not think is appropriate." Mr Gregory said two other groups for Cuba and Palestine have also faced the same issue. WNSC supports trade unions, community groups and educational organisations in the country. Officials at the bank told BBC Cymru Fyw the move was not a reflection of the "work carried out by many of our customers throughout the world or a statement about the causes they support". "In common with all banks, we have to perform due diligence on our customers, their accounts and the payments they make to ensure the bank complies with anti-money laundering obligations," said the bank. "For customers who operate in, or send money to, very high-risk locations throughout the world, advanced due diligence checks are required. "Unfortunately, after quite extensive research, the organisations involved did not meet our requirements or, in our view, allow us to fulfil our obligations. "I would emphasise this is not a political or discriminatory decision but one based on our obligations."